After the monumental "Futurica Trilogy" comes a book that dares to describe individualism as the now defunct religion it always was and describe a reality that is primarily virtual, rather than physical. While the authors do not mind challenging the reader's view of the self and the world, their main intention here is to induce passive receivers of the future to become more active participants. This work offers engaging observations and perceptive interpretations of contemporary society. I was interested in this book because I have seen a number of Bard's lectures and enjoyed his thought process. However within the 1st couple chapters of this book I realized there were some serious errors in 'factual' assumptions the authors hoped an ignorant reader would miss. Lets start with String Theory. The Authors use the idea that String Theory; as Kraus states "The universe can create its self from nothing, because gravity exists' well if gravity exists it by def didnt create itself from nothing. String Theory also imposes that there are an infinite number of universes with an infinite number of creation events. Thus by its very definition String Theory would have to include a universe which was created by an Abrahamic GOD; not disprove it. Also String Theory is anything but that a theory which is largely losing popularity amongst scholars. 2nd) They seem to have the theological depth of a 6th grader in Sunday School. If the major premise of your book is going to be on the challenges of the Abrahamic religions, then you should take the time to study the actual theology a bit more in depth. A high schooler taking a apologetics class at a christian school would be able to tear their arguments apart with ease. Being philosophers I would have also expected them to read the work of kierkegaard, who's understanding of the Abrahamic Theology was much more versed. While I would expect them to disagree with kierkegaard, but to flatly ignore the work is just lazy. 3rd) You can tell that they love to use big philosophical terms because they will repeat the same sentence 8 times over but with different fancy words to let you know how awesome the authors are. You could have cut 50% of this book out and made it much more concise. All in all I wouldn't waste your money. **Update - I just heard and interview with Bard on Sept 17, 2015. 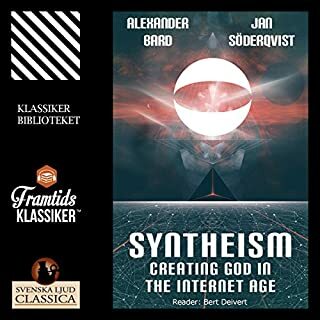 In it Alexandar Bard States - 2 years before I we wrote the book I knew nothing of theology. He then goes on to state that he studied mostly zoroastrianism. How in 2 years studying zoroastrianism can you even have the slightest understanding of real Abrahamic Theology??? Then go on to write a book critiquing Abrahamic theology as if you are an expert??? I don't care if you agree with the theology or not, thats why I bought the book. But do your homework. Yes, as someone who has been studying and practicing the dharma and zazen for over 10 years, this is a great way to get some insights into Shobogenzo. I've really enjoyed Brad's other books as well. What other book might you compare Don't Be a Jerk to and why? This is hard because there are not a lot of books that try to give you an understanding of a specific theological work. 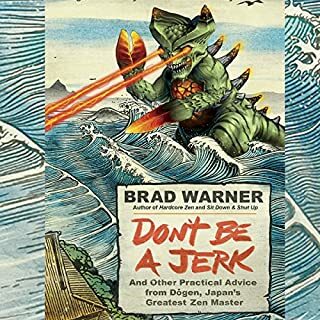 If you like Brad Warner I would recommend Dharma Punks by Noah Levine. Yes, Brad uses some really bad christian theology to try to prove a point. What I mean by that is; he uses theological ideas that are not grounded in the actual Judeo-Christian theology. But rather generic post christian reformation points you would get from an Atheist Facebook group, rather than true 1st century Judeo-Christian theology. This is the reason I'm giving this book 4 stars out of 5. I'm sure if Brad were to read a book by a Christian theologian and they were to make some of the same type of statements about Buddhist Theology to prove their point he'd feel the same way. If you're going to make comparisons make sure you fully understand both sides before you use them. What would have made Relentless better? 5 hours of Tim S Grover telling you how bad a$$ he is. 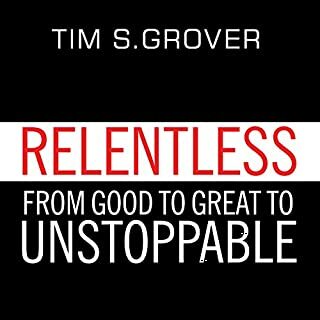 What was most disappointing about Tim S. Grover’s story? No information of value. 5 hours of boasting. I'm not taking anything away from his accomplishments. But I didnt buy your book to listen to how awesome you are. I bought your book for you to teach me how to become 'unstoppable'. Complete disappointment. I wish I could return it and get something else that actually provides some value. Here is the summary of the book. Tim s Grover has worked with Michael Jordan, Dwane Wade and Kobe Bryant. These basketball players are really good and Tim is a bad a$$. The end. All of the information provided in this book is not new knowledge to most people with a decent amount of intelligence. If you feel like listening to how awesome Tim is then buy it. If you're looking for ways to become better in your personal or business life; spend your money on something else.